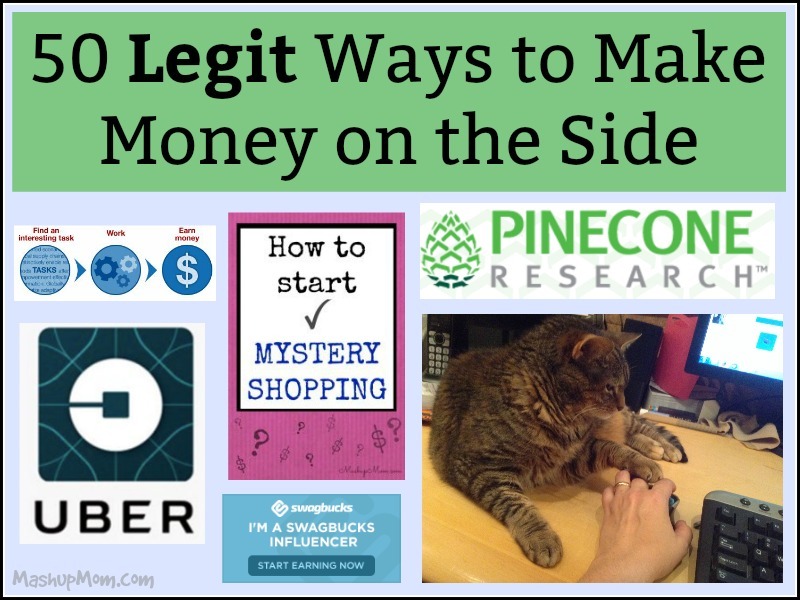 Here are 50 different ideas for ways to make money online and/or on the side! If you’re tired of sorting through the scams & get rich quick schemes, check out these actually legitimate ideas for making money online or on the side. You won’t get rich quick through any of these, but you can actually earn some side income to help pay bills, build up an emergency fund, or put aside all year towards your holiday shopping. Some require some skills or repurposing of your existing skills; others are open to anyone. Make money doing tasks, both online and in person, through various apps and websites. Amazon Mechanical Turk: Mechanical Turk provides HITs (Human Intelligence Tasks) for you to work on from home. Get paid for tasks you complete (ranging from transcription to tagging images. Many are very short tasks that pay just a few cents, but you get access to better paying and additional tasks as you build up a better reputation on the site. Field Agent: Download their app, then select “jobs” you qualify for like taking a photo of a specific display at a store near you, doing a price check on a specific item, or answering surveys. Fiverr: On Fiverr, you can list low cost services you have to offer and companies or individuals can contract with you for gigs. Can you draw? translate? Write a business plan? Provide an astrology reading? Most any service you can think of, you can offer it here. Gigwalk: Similar to Field Agent: Download their app, then find, select, and complete gigs in your area such as making sure a product is priced correctly at a local store or that a marketing event is taking place. Job Spotter: Earn Amazon gift cards through a combination of submitting photos of local help wanted signs, and verifying other peoples’ submissions. TaskRabbit: Become a “tasker” on TaskRabbit, and you can get matched for one-shot jobs from people nearby who need services ranging from house cleaning, to handyman services, to grocery delivery. Make money delivering packages, groceries, or… people. Or, rent out your home (or a single room) to travelers to earn extra income. Airbnb: You can either rent out your entire home or one room to travelers to earn side income as an Airbnb host. Amazon Flex: Make $18-$25 an hour delivering packages for Amazon with your car and smartphone in select cities. Sign up and they’ll contact you. DoorDash: Earn on your own schedule delivering food orders through DoorDash! Instacart: Make money shopping and delivering groceries from local stores to customers. Lyft: If you’re interested in being a Lyft driver, you can make up to $35/hr driving your own car, and you set your own schedule. Note: Lyft requires a background check, and you must be at least 21. They have additional requirements including minimum requirements for your car. 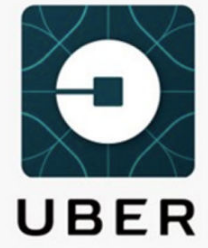 Uber: If you’re interested in being an Uber partner, you drive your own car and set your own schedule. Note: Uber does have requirements as to year of car, background check, etc. — see more info when you sign up on their site. Some of the aggregators in the section further down the page also include an ad-watching component. Jingit: Make money watching any ad with the Jingit logo online or their partner’s sites, plus earn money checking in at stores. Shopkick: Earn “kicks,” or points, by watching ads in the Shopkick app, walking into participating stores, scanning select products, buying select items, uploading receipts. Redeem those points for gift cards. Answer online market research surveys online in your spare time to earn rewards including PayPal and gift cards. Harris Poll: Take surveys online and earn rewards ranging from merchandise to gift certificates. Opinion Outpost: Take surveys online and earn rewards including PayPal + Amazon gift cards. You’ll also earn entries into contests for your participation. PineCone Research: PineCone pays a flat $3.00 per survey, and they tend to be fairly quick. They’re one of the most popular online survey companies, and are known for paying out in a timely fashion. Get paid for your time and opinions when you attend in person focus groups in your city. Craigslist: The “et cetera” jobs category on Craigslist often includes links to paid focus groups. Focus Pointe Global: Focus Pointe recruits for studies in a number of locations nationwide. Sell items online through various sites, whether you’re selling products you create yourself, items around your house, or items you purchase for resale. Also check for local “garage sale” Facebook groups where you can sell items to your neighbors. Amazon: You can sell items on Amazon either as an individual or as a professional seller. Professional sellers pay a monthly subscription fee, and individuals pay $.99 per item sold. Both pay other selling fees when an item sells. Bookoo: Bookoo is an online garage sale type site — sell your stuff to people nearby. Cafe Press: Create and upload a design to Cafe Press, which then goes up for sale on products from t-shirts to mugs to phone cases. Earn when products with your design sell. 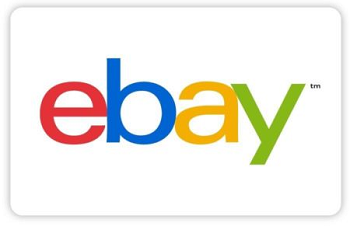 eBay: Use eBay’s automated tools to “turn your stuff into cash,” whether you’re selling items around your home, picking up clearance products to sell, or thrifting/garage saling for resaleable items. etsy: Are you crafty? Open an etsy shop and showcase your creativity to the world. Here’s a step-by-step article on starting a blog; stay tuned for additional articles on ways to monetize that blog later. How to start a blog in five easy steps! Check out this article on how to get started. Work at Home Saturday 12/31/16 — Blogging: The main ways in which people monetize their blogs. 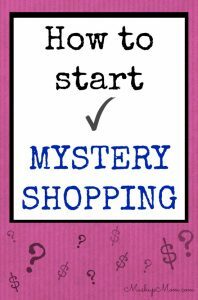 So, you want to learn how to start mystery shopping? Check out this article on how to get started plus a list of companies to work with. Also try craigslist.org for general freelance writing gigs. Constant Content: Sign up as a content creator and submit work on their site. Purchasers can then purchase your articles for their own websites. eHow: Are you creative or crafty? Sign up to write “how-to” content for eHow. Freelance marketplaces allow you to showcase your work and get your profile in front of companies looking for people to work on short term projects. Guru.com: Guru is an online freelance marketplace where you can list your freelance services and get them in front of companies looking to hire people for various projects. Upwork: Find clients for your freelance business, search for projects, and get your profile in front of companies looking for freelancers for project based work. Use your home phone and computer to provide customer service from home for various companies. LiveOps: Work at home providing customer service, inbound sales, and more as an independent contractor through LiveOps. Sykes: Most of their at home customer service opportunities are full time, so know that going in. If you’re an expert in a given subject, help others through online tutoring services. Smarthinking: This Pearson-run site hires online tutors in specific subjects, and usually has at least a couple of opportunities open. Tutor.com: Apply to be an online tutor and bring in extra income, especially if you are qualified to tutor in a higher demand subject. VIPKID: Teach English online to kids in China — any formal or informal teaching experience counts; need a bachelor’s degree in ANY field! Wyzant: Wyzant connects subject experts with students looking for one-to-one instruction, either in person or online. Note: A number of these offer extra opportunities when you install and use their toolbar. I don’t recommend these; they’ll slow down your browser and also track wherever you go. Watch what you’re signing up for here and what you’re installing, because some of the offers on these sites can be on the scammier side. Stick with those that seem more legit, such as answering surveys, taking polls, watching video ads, and printing and redeeming coupons. MyPoints: Earn points through watching videos, taking polls and surveys, printing and redeeming coupons, signing up for offers, and getting points back for online shopping through their portal. Swagbucks: Earn points called SB for everything from watching videos to taking polls and surveys to printing and redeeming coupons, then redeem for prizes including Amazon gift cards. Treasure Trooper: Surveys, offers, tasks, online shopping, and search. You get a $1.00 bonus for signing up, and they also have a referral program. Get cash back for your everyday grocery shopping on items you’re buying anyway. Other than the National Consumer Panel, these apps work basically the same way: Buy a participating product, upload the receipt as proof of purchase, then get cash back. Some only work with participating stores, so check rules and participation for each before shopping. BerryCart: Focuses on cash back offers for organic, natural, and gluten free products. Unlock each offer by completing the required activities, then buy at any store and upload the receipt to redeem. You can cash out for PayPal or gift cards. Checkout 51: Most cash back offers work at all stores, and many are also accessible online for users without a smartphone. They also often have produce and other general offers. Once you hit $20 in your Checkout 51 account, you can request a check. Fetch: Use code NF3TH at signup and get 2000 bonus points when you scan your first receipt. 3000 points gets you a $3 Amazon gift card — and you earn points for every receipt you scan at grocery, pet, home improvement, club, or convenience stores (includes gas stations! ), as well as bonus points for participating brands and special offers. Ibotta: Some offers are good at multiple retailers, and some are store specific. You’ll need to complete 1-3 short activities to unlock each offer, then buy the participating item at a participating store and upload your receipt to redeem an unlocked offer. Cash back goes into your Ibotta account, and at $10 you can cash out via PayPal. National Consumer Panel: Join Nielsen Home Scan Consumer Panel and earn points which are redeemable for electronics, household items, jewelry, toy, gift cards, and more. Scan and send them your household purchase information every week with a handheld scanner that they provide. For each week of the month NCP receives your purchase information, you will earn one entry into the Monthly Sweepstakes where you can win a $500 American Express Rewards Card. Every month, 25 panel members win. SavingStar: After you create a SavingStar account, you link your loyalty cards for some stores, load offers online, and buy participating products at a participating store using your linked card to redeem the offer. At stores without a card, you use the app to upload your receipt. SavingStar only works with participating stores, and once you hit $5 in your account you can cash out via PayPal. If you’re buying something online anyway, get a little cash back for your purchase. Ebates: Get a $10 signup bonus, then earn cash back for online shopping you do through their links. Get paid quarterly when you hit their minimum. Topcashback: Earn a percentage of your purchase back at various online retailers when you shop online through their links. No minimum payout requirement, which is nice. Help with testing so that developers can see how real people interact with websites and apps, and help them improve their usability. TryMyUI: Get paid $10 for each test — use a website or app and voice your thoughts out loud to help developers understand the user experience. User Testing: Sign up to be a user tester and receive $10 per test: Visit a website or an app; complete a set of tasks while speaking your thoughts out loud; get paid $10. Work at Home Saturday: Work at Home Saturday features reader stories; follow the series to see a number of direct sales options and ideas, as well as other work at home & side income options.